David Dedo changed majors several times as an undergraduate but finally settled on a History and English. He continued his education because he still wanted to learn, and found that teaching would be a good way to continue learning while still doing what he loved. 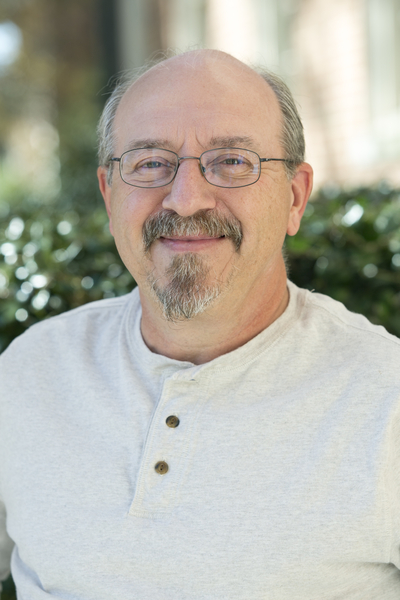 Dedo joined Samford's faculty in 1990 and currently teaches courses in communication arts, public speaking, and professional communication in the Communication Studies Department. He says he enjoys teaching in this department because the information is valuable, practical, and he enjoys working with all the students majoring in Communication Studies. He is especially interested in how new technology is changing writing and other forms of communication, and what that means for his students. Outside of the classroom, Dedo volunteers with an ACT ministry that helps the unemployed and people changing careers prepare their resumes and sharpen their job search skills. He also enjoys golfing and yard work.